Place this one in the strange but true category! Is it a prank? Is it a desecration? Is it vandalism? I am not sure. Desecration of war memorials quite a common occurrence in many nations. Motivations of the perpetrators not even clear and probably never will be. 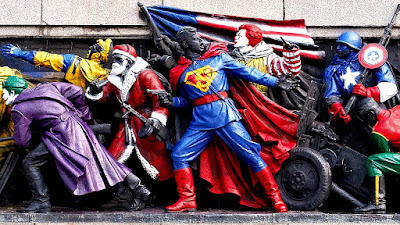 "Russia Wants Bulgarians to Stop Painting Soviet Monuments To Look Like American Superheroes"
"Russia is demanding that Bulgaria try harder to prevent vandalism of Soviet monuments, after yet another monument to Soviet troops in Sofia was spray-painted, ITAR-Tass reported." This is hardly vandalism or desecration as I understand the common, ordinary and normal definition of those words to mean? A prank probably is more accurate a description but out of place? Superman, Ronald McDonald, the American flag, Santa Claus. Figures are originally done Soviet soldiers of the Great Patriotic War [WW2] liberating Bulgaria from fascist occupation. NOW cartoon characters? Who would ever have believed it. 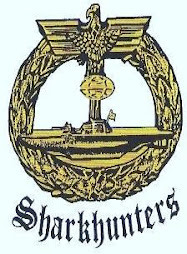 To paint that memorial in such a fashion too was a rather protracted affair, not done at a whim and in an instant the work apparently of professionals?